Oil & Gas Engineering Co Ltd of CNNC Geo-Mining Shaanxi (CNOG) is wholly-owned subsidiary of State-owned China National Nuclear Corporation (CNNC) under the direct management of the central government. 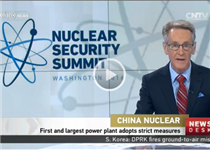 CNNC successfully built the first nuclear power plant in the Chinese mainland. 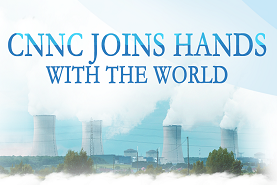 It has established an all-inclusive nuclear technology industries. It is a crucial part for the national nuclear technology industry and plays a leading role in national nuclear energy development. It undertakes missions to ensure national security and facilitate domestic economic development. A professional oil services company, CNOG was originally established as a result of CNNC’s 13th Five-Year Plan for Economic and Social Development. Upon establishment CNOG inherited from CNNC all business related to the oil and gas industries, including project and technology contracts, geoscience and geopolitical advantages, equipment and the import and export of oil, gas, coalbed methane, talent and proprietary technology. CNOG’s key business activities include the exploration, production, refinement, storage, transportation, marketing and comprehensive utilization of wholesale and retail oil and natural gas products. CNOG also engages in the design, consultation, construction, installation and maintenance of petroleum and petrochemical engineering projects and equipment. The company also fulfills environmental assessment and management duties in addition to the research, development, manufacturing and marketing of electrical and mechanical equipment. CNOG follows the doctrine of “mutually beneficial cooperation and common development”, shouldering social responsibilities and adopting a scientific development approach to realize sustainable business models.